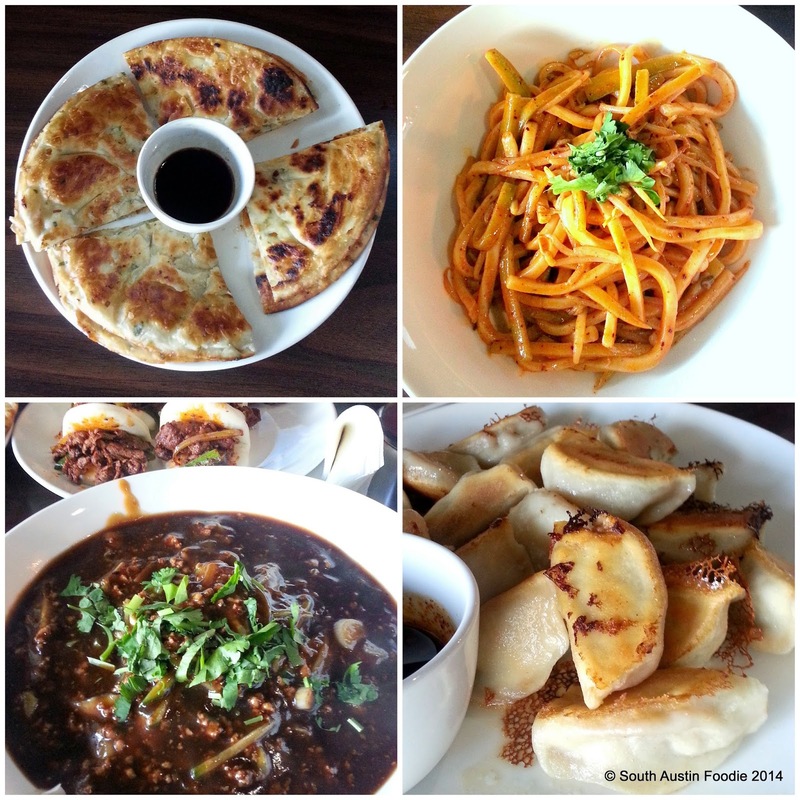 Here's a look back at some of my favorite South Austin foods on the year! 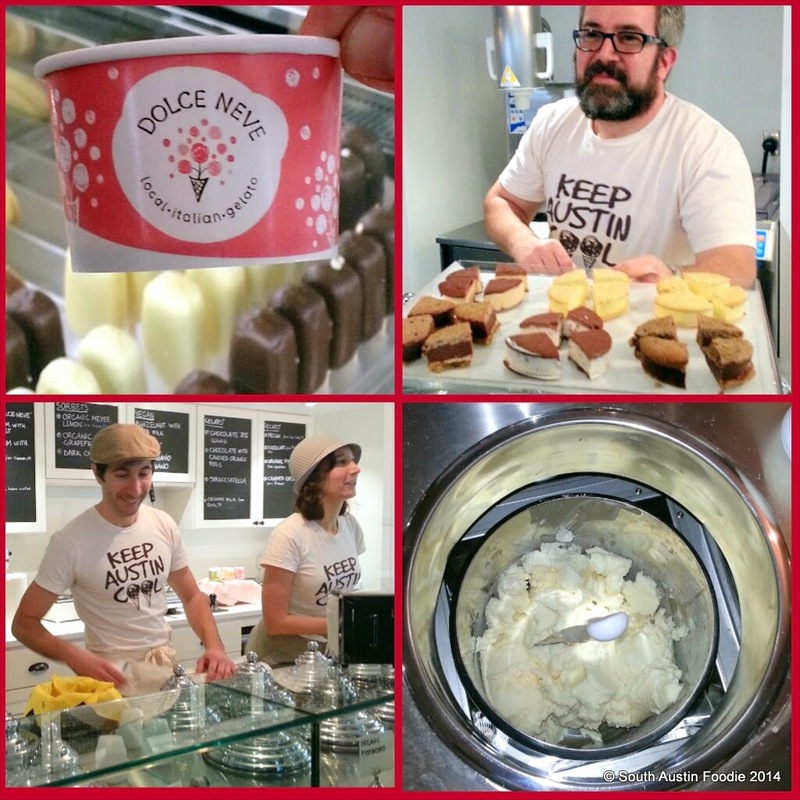 The arrival of Dolce Neve gelato on South First Street. Gelato, "ice cream" sandwiches, popsicles, and really nice Italians. 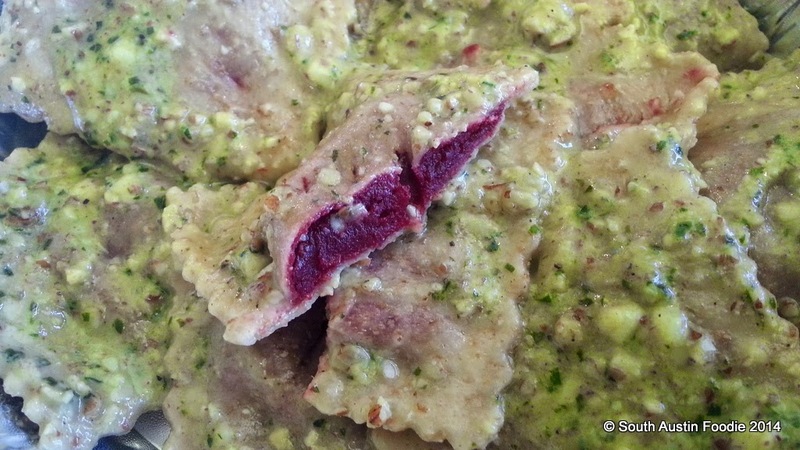 Regal Ravioli's beet ravioli with pecan pesto. It was hard to tear myself away from the sweet potato gnocchi with bolognese, but I am glad I did! 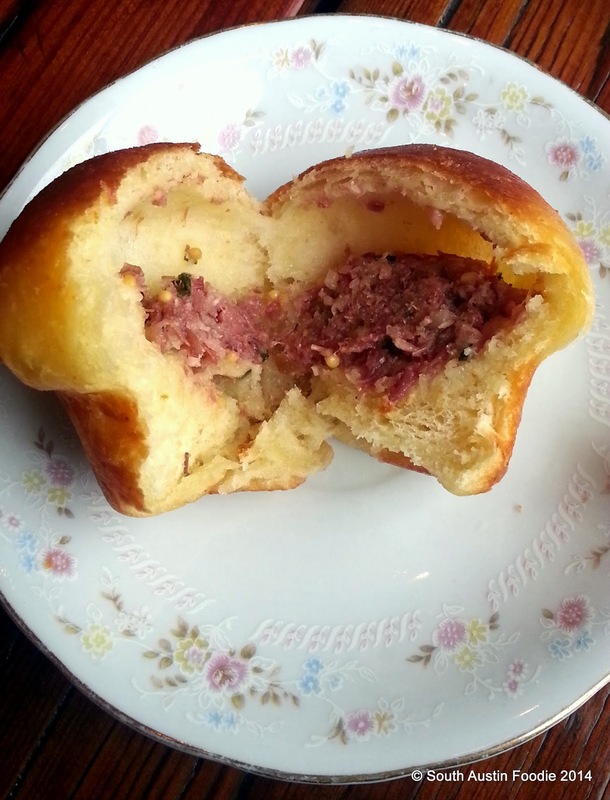 Odd Duck's tender Parker House rolls with pig head meat. They need to make these larger! 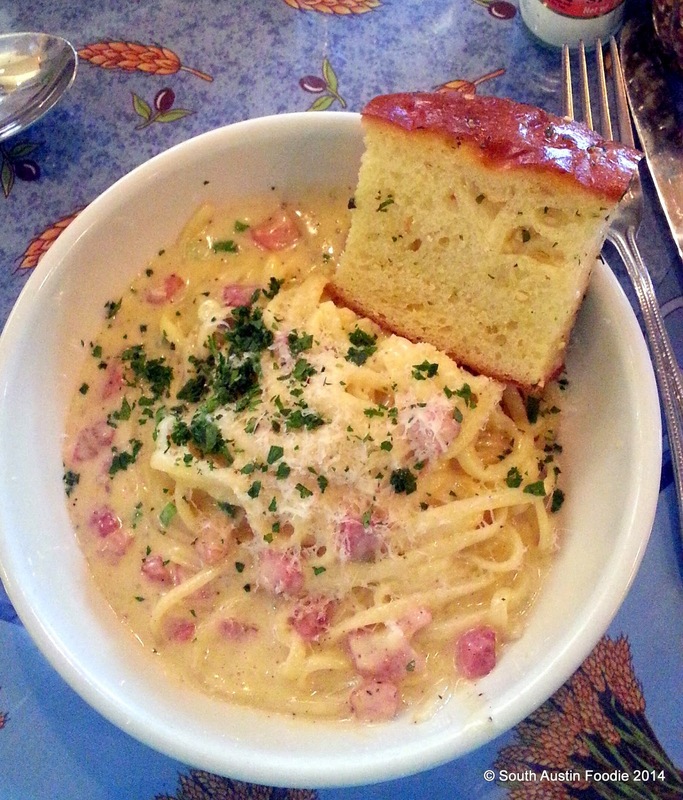 An old standby, spaghetti carbonara from Enoteca (except I ask for it with linguine, as I like a wider noodle), and the garlic bread isn't shabby either. 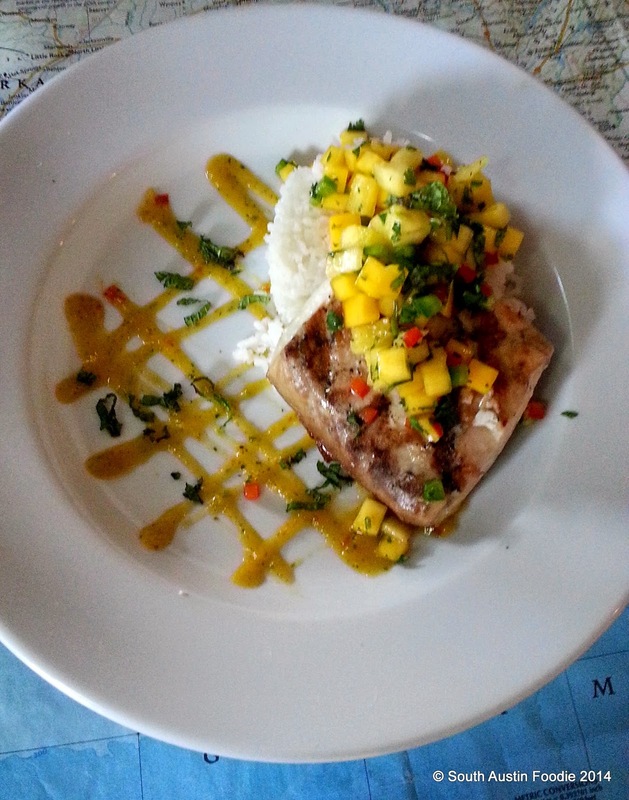 Snack Bar's mahi mahi with mango salsa and coconut rice. Healthy and tasty! Chen Z Noodle House expanded to a second location in Oak Hill -- yay! Here we have green onion pancakes, spicy cold noodles, dumplings, and hand cut noodles in black bean sauce. 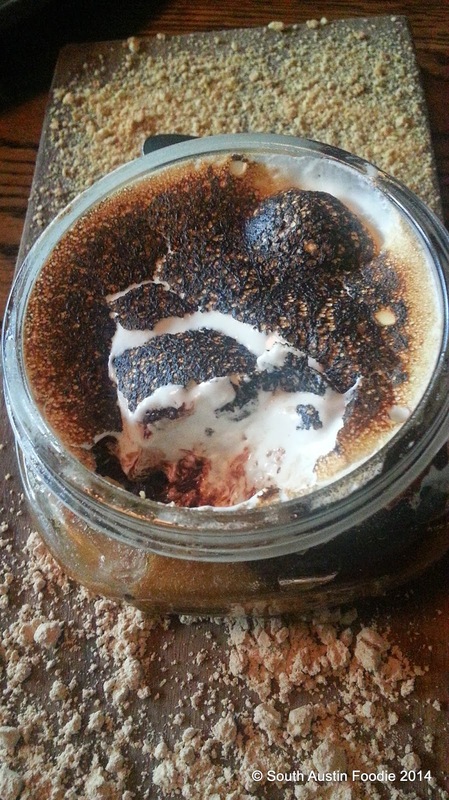 Everything we had at Porter Ale House's happy hour was delicious, but this twist on peanut butter s'mores really takes the cake. 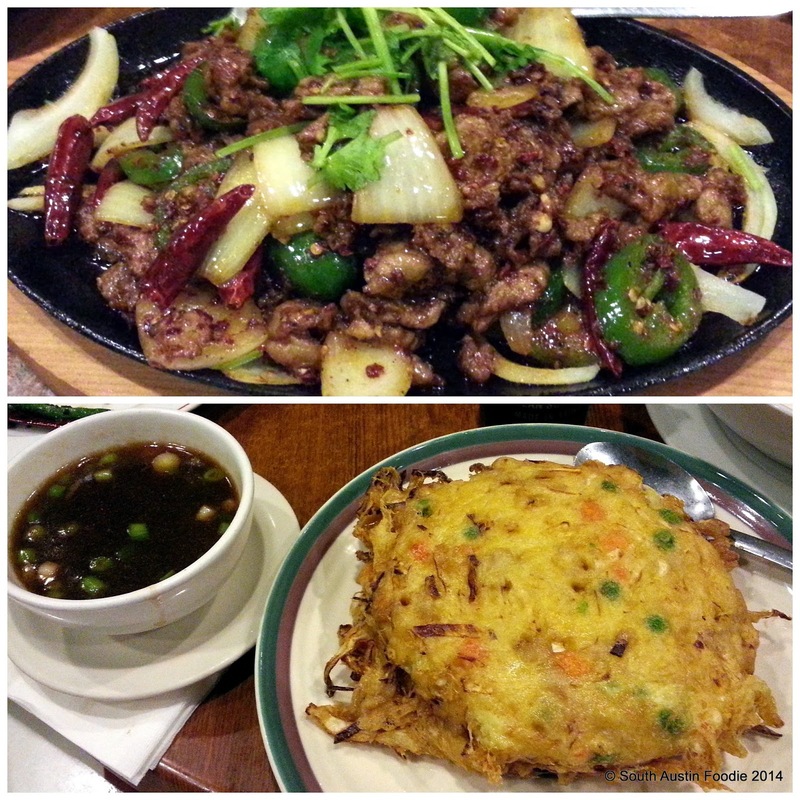 Sichuan River took over Tien Jin, and in the process has created some amazing dishes, here the spicy sizzling Sichuan lamb, and a wonderfully crisp egg foo young. 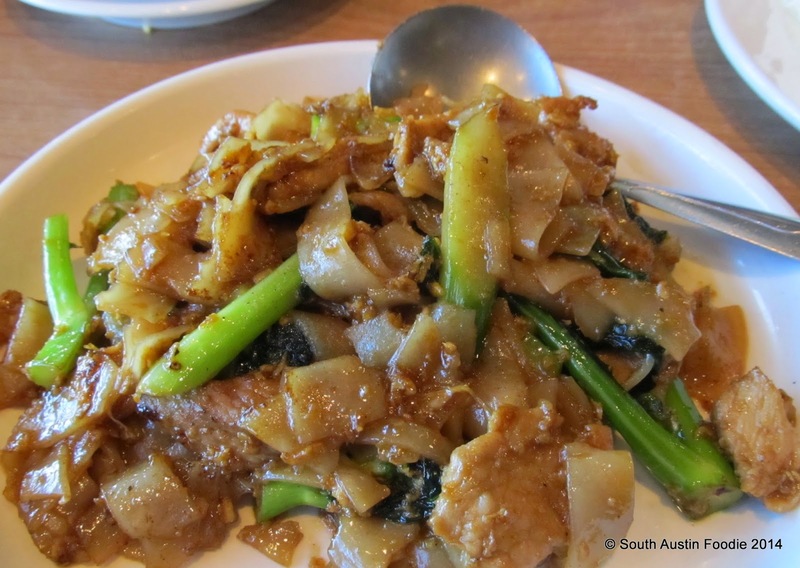 Thai Taste's pad see ew; wish this place was closer to me than Oak Hill, but it's a hidden gem. 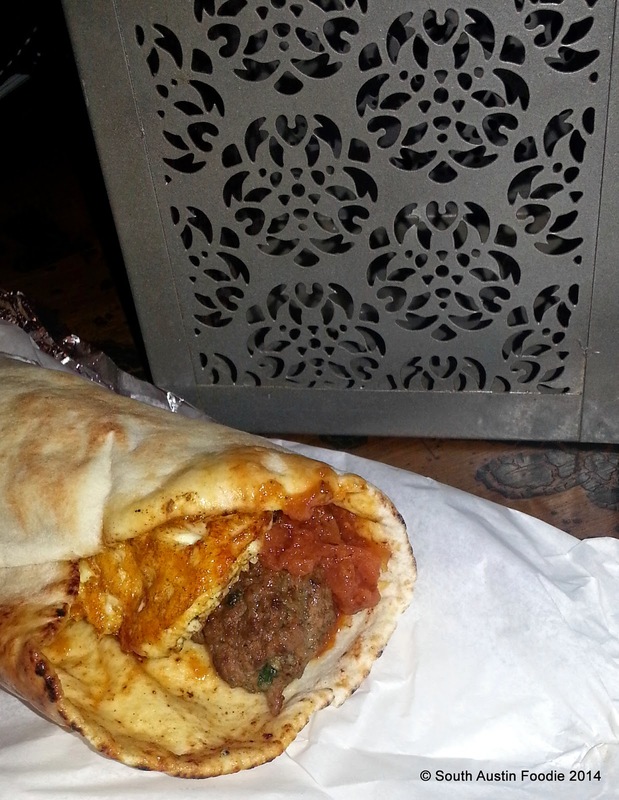 Good food comes from good people, my friends Abdu and Maria of The Flying Carpet trailer, and the Moroccan beef kefta wrap. 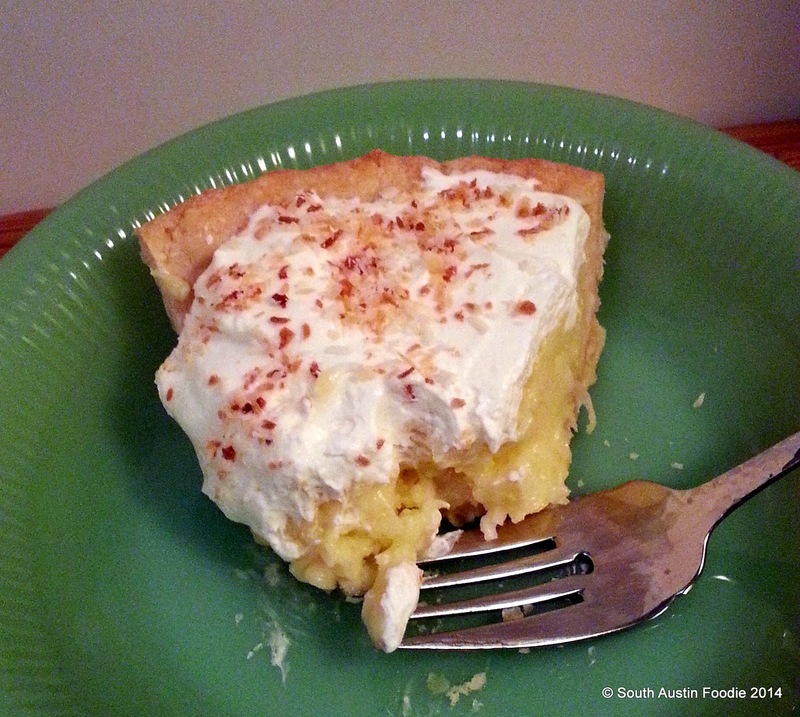 Pie Plante's coconut cream pie; there's no skimping on coconut flavor here! 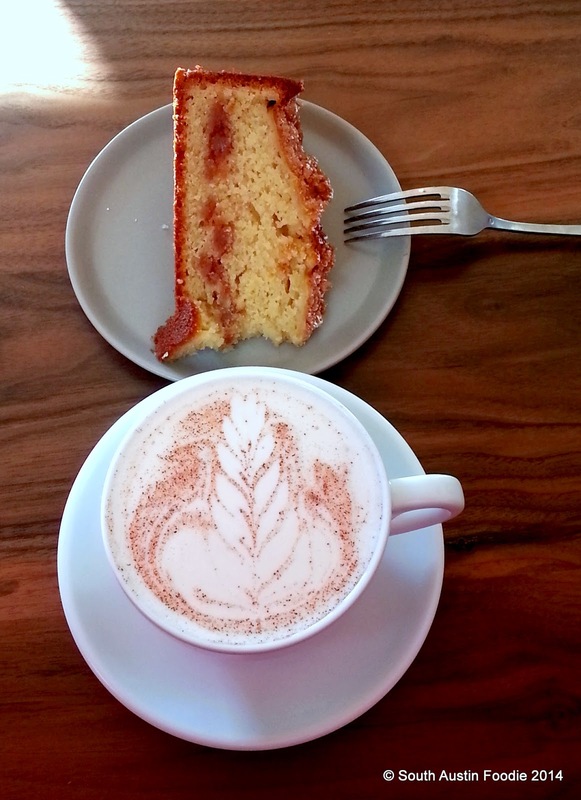 Not only does Patika Coffee make a great cup of joe (or in this case, chai), but their sweet and savory baked goods are stellar. 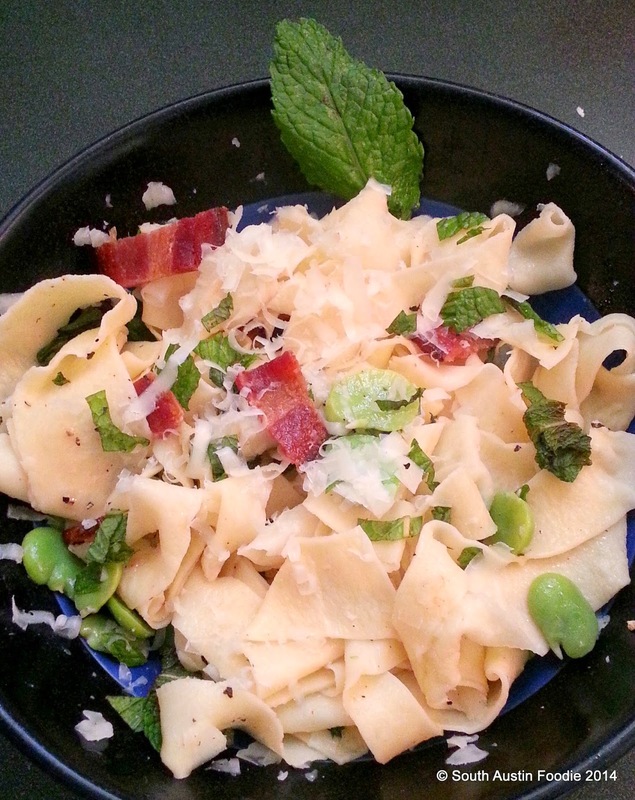 And from my own kitchen, homemade pasta with fava beans, pecorino, bacon, and mint. So those are my favorites on the year; what are your memorable South Austin bites this year? Happy New Year and happy eating!